This is the 10th Ebola outbreak in the DRC and the country’s worst. It is also the world’s second largest Ebola outbreak in history after the one in West Africa in 2014-2016. KINSHASHA – Since the latest Ebola outbreak in the Democratic Republic of the Congo (DRC) was declared six months ago on 1st August 2018, more than 740 people – 30 per cent of whom are children – have been infected with the disease, including over 460 who have died, and 258 that have survived Ebola. Alongside the Government and partners, UNICEF is scaling up its response to assist victims, control the spread of the disease and ultimately end the deadly outbreak. The response to this latest outbreak continues to be hampered by insecurity, frequent movement of people in the affected areas, and resistance from some communities. 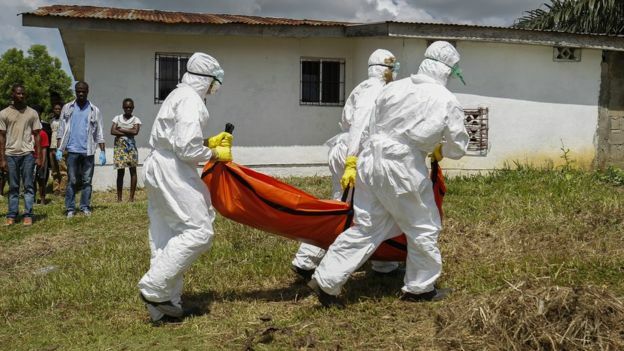 “While we have been able to largely control the disease in Mangina, Beni and Komanda, the virus continues to spread in the Butembo area, largely because of insecurity and population movement,” said Dr. Gianfranco Rotigliano, UNICEF Representative in the DRC. Since the beginning of the epidemic, UNICEF and its partners have deployed more than 650 staff to work with Government, civil society, churches, and non-governmental organizations – to assist people and families who’ve been infected and to raise awareness about the best hygiene and behavioural practices to prevent Ebola from spreading. UNICEF’s Ebola response focuses on community engagement, providing water and sanitation, making schools safe from Ebola and supporting children and families infected and affected by Ebola. UNICEF aims to control and prevent the spread of the disease, and ultimately stop the outbreak; to reduce Ebola-related deaths among those infected; and to provide protection, alleviate suffering and give assistance to affected children and families. Identified 686 Ebola orphans and provided them with appropriate care.